Did you know that “Removing the Safety Tip from an Imitation Firearm” is a violation of California Penal Code section 20150(A) and can lead to misdemeanor charges? 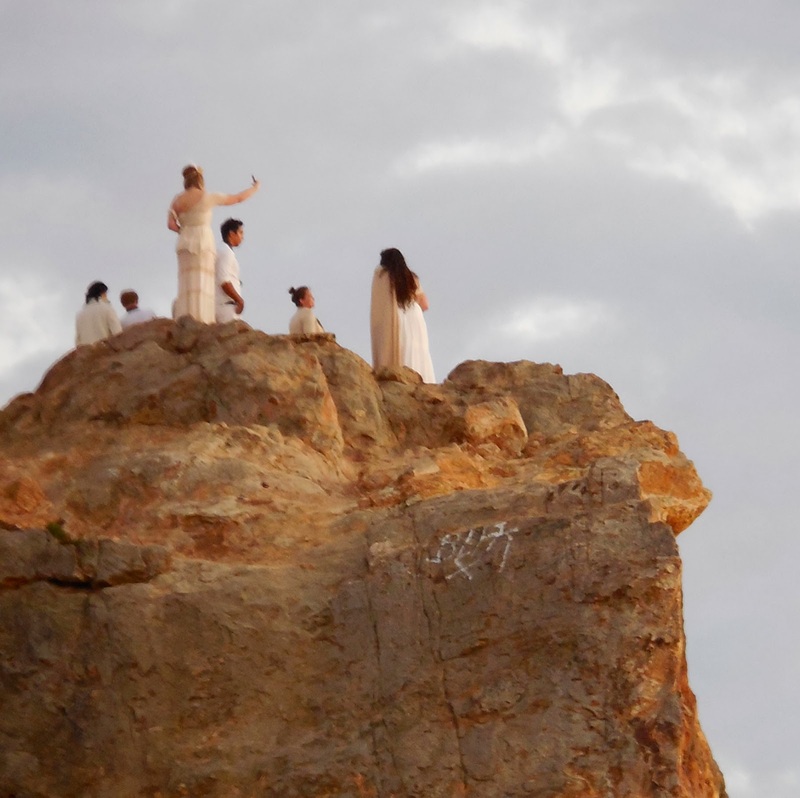 A group of film students who were shooting a scene at the Point Dume Headlands just found that out on Thursday. A Malibu sheriff’s deputy was flagged down at about 10:30AM Thursday and told that a male suspect was waving a handgun near other people close to Point Dume Nature Preserve. 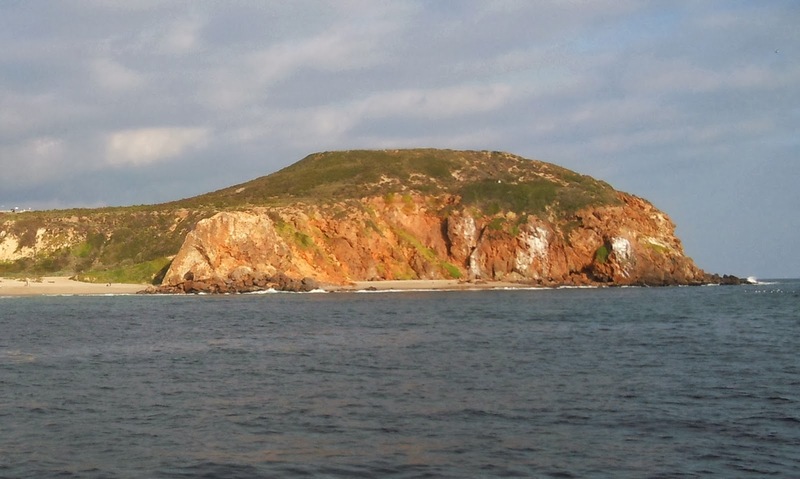 A search immediately began by sheriff's deputies from Malibu/Lost Hills Sheriff's Station, California State Park Rangers, and a sheriff's helicopter. 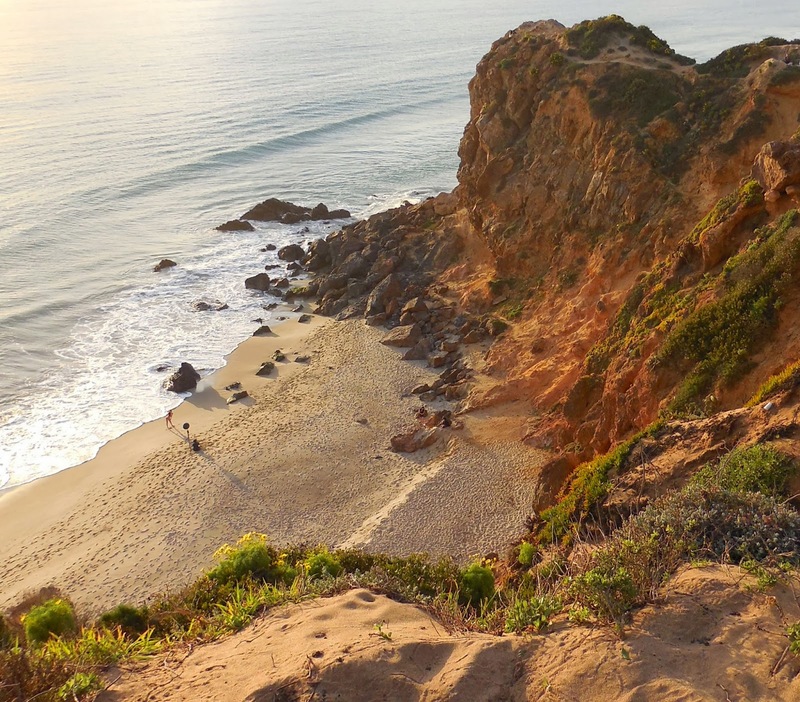 During a coordinated area search including the nearby cliffs, deputies soon saw a suspect pointing a handgun at the head of a young woman who had her hands raised in the air at Little Dume Beach in Malibu. A person nearby was holding a camera and filming them. Other people were in the area. Malibu sheriff's deputies and park rangers detained the suspect and six other people on the beach. An examination of the realistic looking gun revealed it was a replica handgun with the orange plug tip removed. The orange tip was installed by the manufacturer to ensure people would know it was not real. The group said they were college film students shooting a movie for school. No notice had been given to law enforcement, there was no film permit, there was no security, and no signs indicating it was a film project and for the public not to be concerned. The suspect said the orange plug had been removed to make it look like a real gun. The suspect, a 20-year old film student from Valencia was arrested for a misdemeanor, Removing the Safety Tip from An Imitation Firearm, violation of California Penal Code section 20150(A). There was a serious incident involving assault at the Point Dume Headlands a couple of years ago, so one can appreciate why law enforcement took this incident seriously, but so many bizarre things go on at Point Dume State Beach—many of them film related—that any walk in the park can turn into a trip to the back lot of the Twilight Zone. 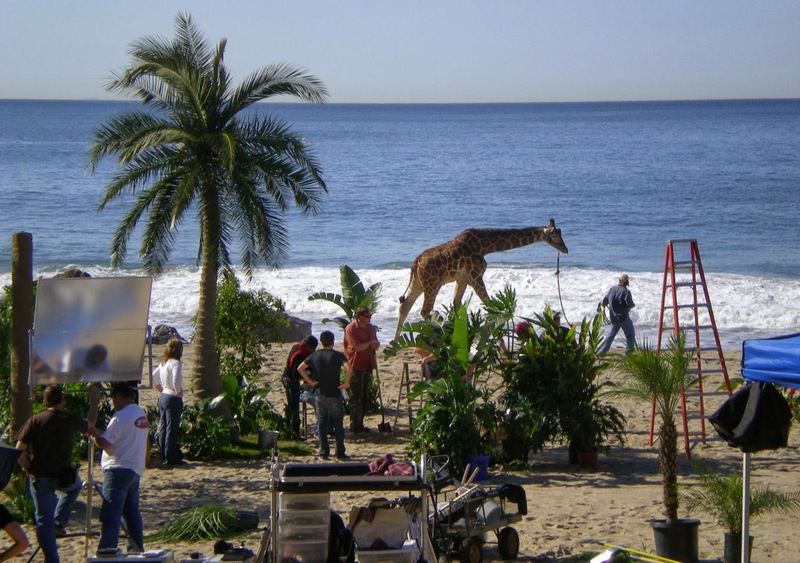 Even when you realize the giraffe is part of a film shoot, it's still incongruous. 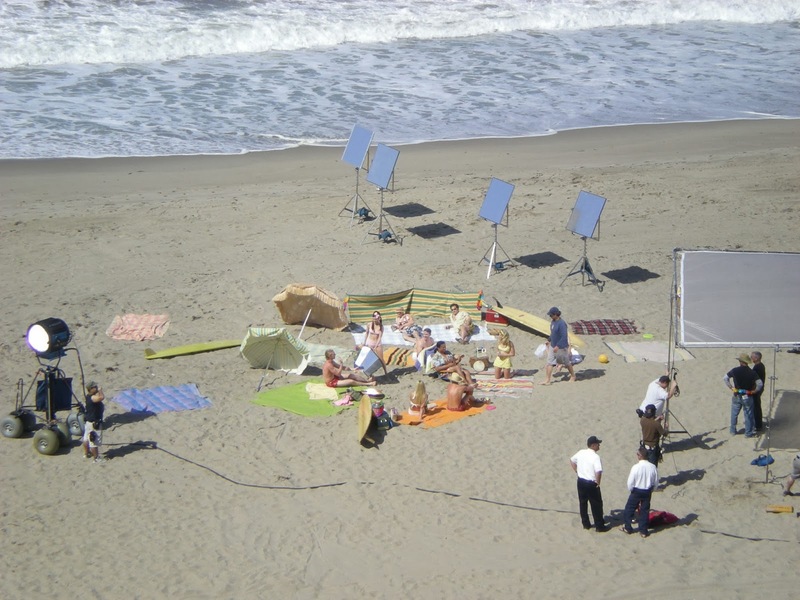 This entire tropical mise en scene was for a 2009 Russian beverage commercial. 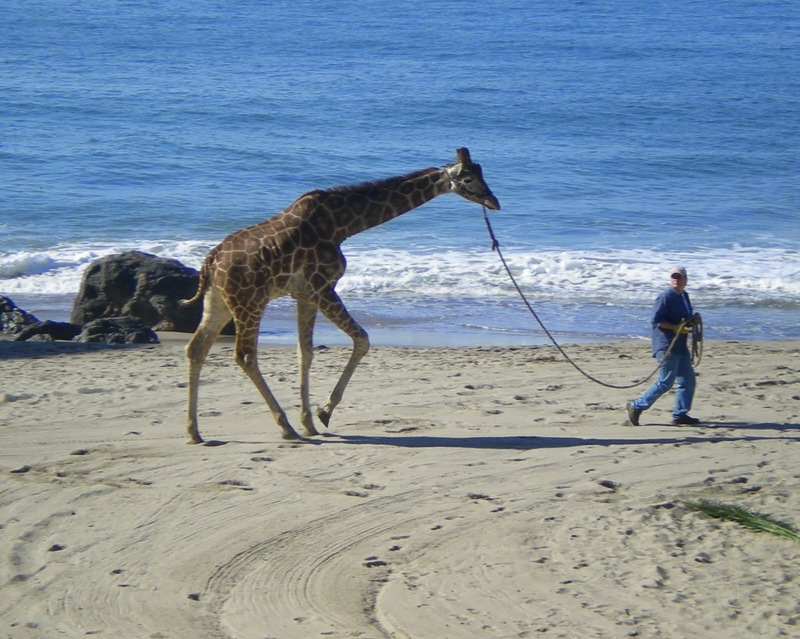 The giraffe is Willie G., a celebrity in his own right who was known for his sweet nature, and was reportedly one of the only giraffes working in Hollywood at the time. A warp in the time-space continuum at Westward Beach appears to have momentarily transported the traveler back to the early 1960s, where beachgoers, serenaded simultaneously by a man with a ukulele and a portable transistor radio, recline amongst awesome vintage metal coolers and longboards. This beach party turned out to be yet another advertising shoot for some kind of European beverage brand. I suspect they didn't have a permit either, but since the only shooting involved a camera, no one called for the swat team. This photographer and his model had to clamber in over the rocks at low tide to reach the secluded cove just east of Westward Beach. Hollywood does things on a bigger scale. Or at least, it used to, before the park was a nature preserve and protected by the state. 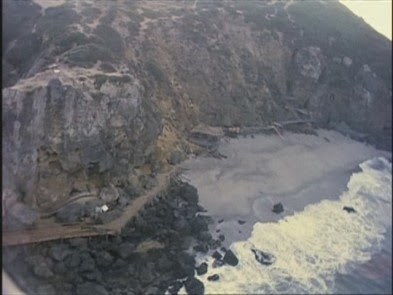 This is the same cove, shown here in a 20th Century Fox production still from the original 1968 Planet of the Apes. The track was built to accommodate the camera dolly and provide access to the sets built in the cove. 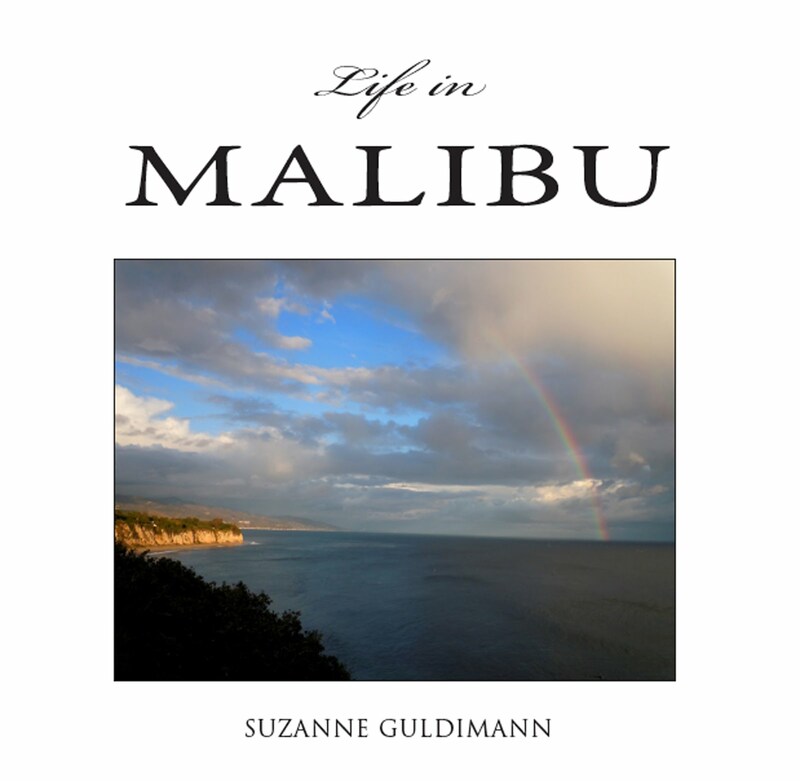 Later filmmakers have had to rely on CGI to make major modifications to the Point Dume landscape. Copyright 20th Century Fox. 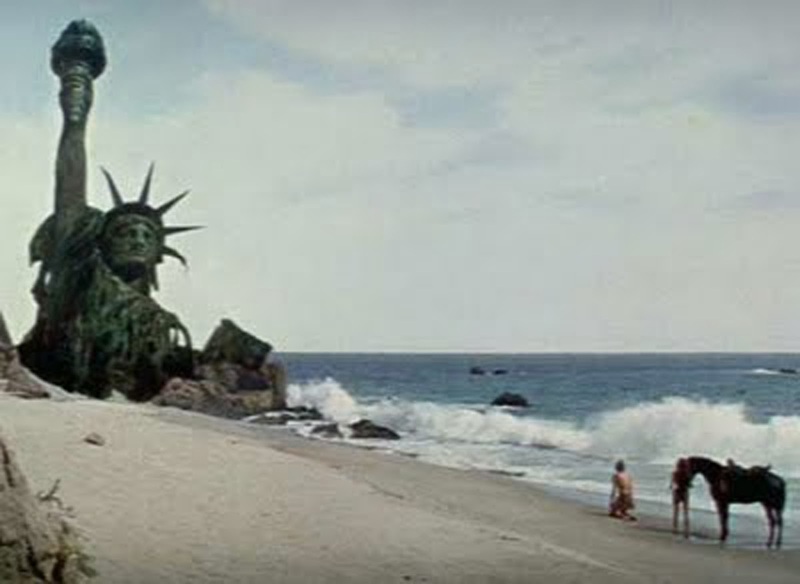 The 1968 Planet of the Apes crew created this, too, right at the base of the cliff, for arguably one of the most iconic scenes in B-movie history. Copyright 20th Century Fox. Here's gizillionaire industrialist Tony Stark's house from the recent Ironman movies, perched precariously on top of the Headlands. However, unlike the Planet of the Apes era, no actual sets were constructed here for any of the Ironman films, which is probable good, since the über-modern architectural bluff-top mansion is about to be nuked by the bad guys in this film still. Photo copyright Paramount Pictures. The same location, sans Stark mansion. 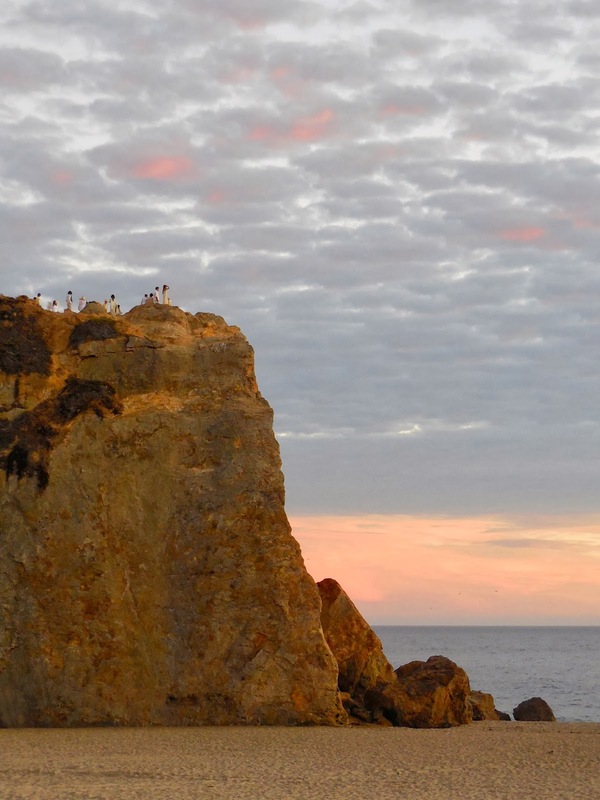 Once upon a time, the top of the Point was a Chumash shrine site. Miraculously, nothing has ever been built on the top of the headlands since that time except for a WW II-era lookout post. However, there were plans once for a hotel, complete with fake lighthouse. The plans progressed to the stage where the top of the hill was flattened, but the project was stalled during the war.